Internationally recognized ex- Chief Architect of the World Trade Center and award winning residential Architect, Paul has been a Greenwich resident for over thirty years. 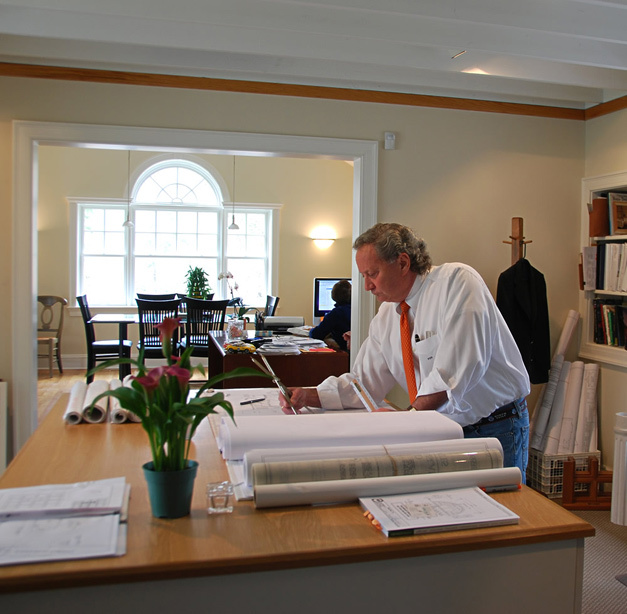 His firm, Paul Stephan Marchese and Associates, is a boutique Architecture and Interior Design firm that specializes in high- end residential homes located in Greenwich, Connecticut and the immediate area. The firm specializes in all historical styles. Careful research, extensive travel/study and a massive historical library all contribute to each project being true to its style and constructed using old world details and extraordinary craftsmanship. Modern electrical and mechanical materials and systems are blended to assure historical correctness yet offer the highest level of comfort and technology. Equal attention is given to interior design which strives to be a reflection of the Client’s taste yet remain true to the style of the home. With hands-on attention at every level of the process, all homes are personally designed by Paul as opposed to supervising other “project architects” as is found in most other architectural firms. Because of this, the firm takes on a limited number of projects each year. It provides a full service relationship including feasibility studies, design development, complete working drawings, specifications, assistance with bidding and award of contracts and continual construction oversight until project completion.